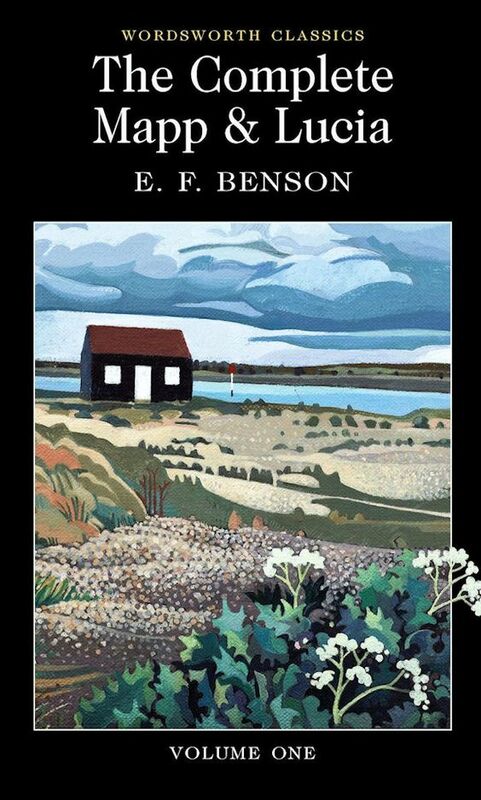 Lobster à la Riseholme is the leitmotif in two of the 'Lucia' collection of books written by E.F. Benson from 1920 through to 1939. The recipe is central to the antagonism between the two main characters and unashamed social climbers; Emmeline 'Lucia' Lucas and Elizabeth Mapp. Lobster à la Riseholme denotes the secret seafood recipe, ostensibly obtained by Lucia's Aunt whilst on a trip to Normandie. Once purloined by Mapp and for the benefit of the reader, she divulges just the first four words, thus revealing it to have the distinct syntax of a classic Mrs Beeton. Yesterday we went to collect oyster shells for our chicks at a beautiful spot I have always considered the dead ringer for Tilling, the fictional seaside town (based in reality on Rye in East Sussex), where the lobster dish is first served. Well I'm an Aunt and I live in Normandie, so I thought this a suitable title for my nameless creation. However, I get the horrible sneaking suspicion that these ingredients, which I dredged up from memory, actually come from the back of the sad little packaged lobsters we used to buy at a knock-down price when returning home from the lab. Buying lobsters in the Midlands as far from the sea as you can get in the UK, precooked and wrapped in plastic, denies one the taste and texture I remembered from childhood camping holidays, lobster fishing in Wales. The addition of cheese, cream and carrots therefore, seemed a very good idea. The gift of these crabs however were, I might say, a different kettle of fish, being freshly plucked from the sea by our neighbouring fisherman/fishmonger, whom Andy had helped in moving some livestock. However, the cheese used here is a mild one and the carrots are served al dente and I remembered the recipe to be so delicious that I thought I'd try it out. I really don't like the idea of putting two beautiful crabs in hot water so Andy did an internet search and came up with a quick despatch, which I will link to below. He then made up a brine from 5 tablespoons of sea salt to enough water to almost fill a large, I use a 6½ litre (approx 11½ pints (UK) or 14 pints (US), saucepan and cooked them from boiling for 15 minutes. As you can see from the image above, the spider crab snips off various bits of algae, seaweed, fragments of shell and other debris, chews them for a while to get them well coated with saliva and then makes a collage of his carapace to help in camouflaging himself from his prey. Unfortunately this doesn't always work. The recipe is really easy, the hard part is breaking down the crab. I have a real problem with eating anything unless I am going to use the whole of it and so if we don't eat it, the chicks do. With the crab we really prefer the white meat, so the chicks get what is in the 'head'. To extract everything from the claws and all the compartments of the leg sockets you need patience and a gentle touch, otherwise you are going to end up with a lot of shell and cartilage to sift through at the end. This recipe also works better with larger pieces rather than flakes, so cooking times and careful extraction of the meat is important. Most crabs we have ever eaten including the ones we caught ourselves some years ago, take around 15 minutes to cook but if you are at all unsure ask your fishmonger. I start by removing the legs and claws, with a twisting motion, this is the easy part. I then gently prize apart each section of the legs and claws and if I am lucky, this action alone may cause whole sections of the meat to be removed, as in the photo below. I then gently apply the nutcracker to open the exoskeleton and use the lobster fork to extract the meat. With the thicker parts of this outer layer, such as around the leg sockets and the large claws, you may need to carefully break the exoskeleton apart to get out complete pieces of meat. There is no point in hurrying, put on a good film and set to work. Having removed the meat from all the legs and claws it is now time to open up the body. There are several ways of doing this. What I do, is turn the crab on its back, place my thumbs under the tail flap and push upwards until the body breaks from the shell. A spider crab shell is quite robust so if you are worried at all you can use another method by which you lift the apron or tail flap and use the end of a spoon to prize the shell away. There are many videos showing this process and other options on the internet. You will now see, some greyish beige, feathery structures, which are rather ghoulishly known as 'the Dead Man's Fingers'. These are the crab's breathing apparatus and thus filters and they should be removed and discarded as firstly, they are inedible and secondly, possibly contain toxins. I would not give them to the chickens either! Having removed these, you will now see an orange/yellowish substance, which is euphemistically known as 'crab butter' and is considered a delicacy. This is the hepatopancreas, fulfilling the function of both liver and pancreas and is therefore not only producing enzymes and thus primarily involved in digestion but is also another filter. Those who are certain of the pristine nature of the waters from where their crab has been fished, eat this, as we are not, it is rinsed off. Now comes one of the tastiest and meatiest part of many varieties of edible crab, apart that is from the big claws. This is the cartilaginous compartment in the middle of the crab and this is where the lobster fork can be used to greatest advantage. The outer and inner compartments are nothing like as robust as the exoskeleton and can easily be broken apart with the fingers and then whole sections can be extracted with the lobster fork quite easily. Once all the meat has been removed, I now mix in the grated carrot and the cream and season. Place in a heat proof dish, with the cheese on top and cook in a hot oven for around 15 minutes until everything is piping hot and the cheese is melted and just beginning to brown nicely on top. If you are not putting the crab shell outside for your chickens to feast upon then you can serve it up inside the suitably cleaned shell. Great post..Thanks for sharing with us. Keep updating your blog.